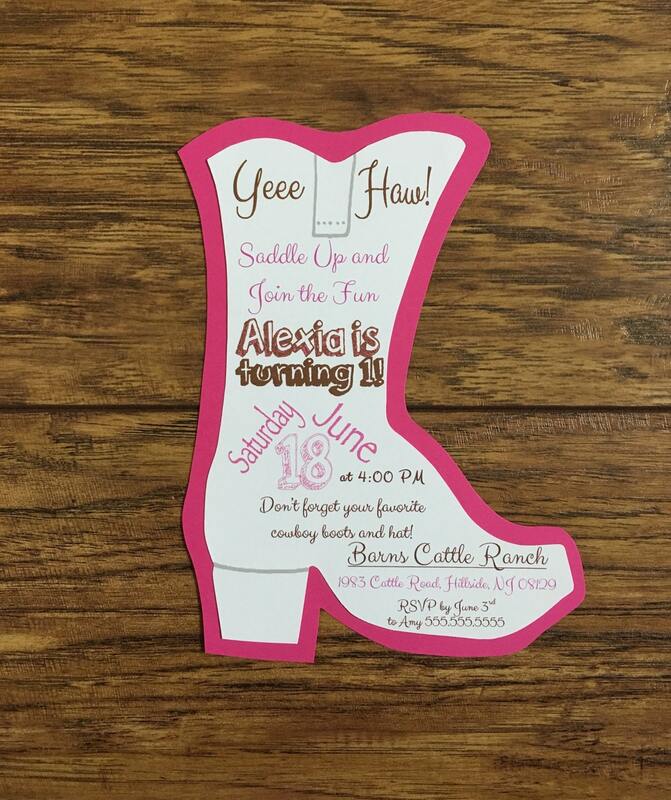 Custom, hand-crafted, made to order, Cowgirl/cowboy themed Birthday party Invitations with Envelopes! The top saying "saddle up and join the fun" can say anything you'd like! I have cute sayings for each age! 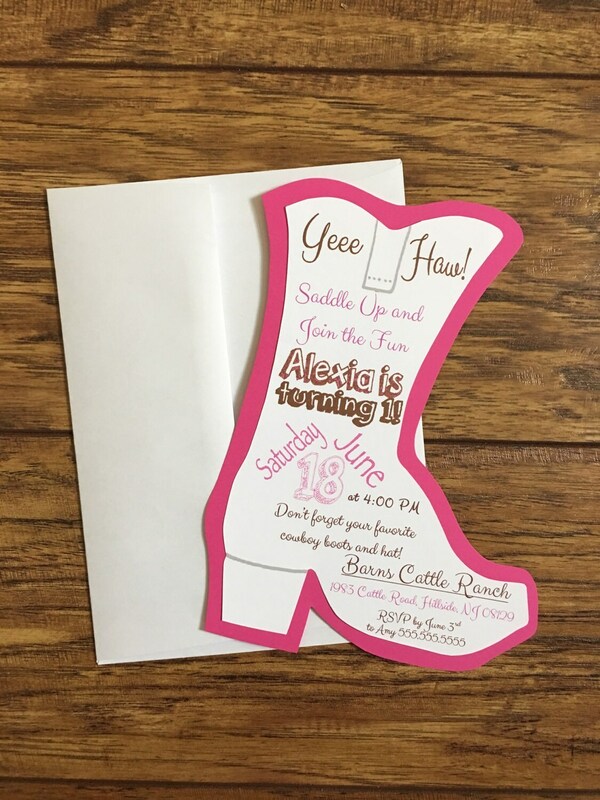 Each invitation is $2.00 and comes with your choice of colored backing and text. 7. Color choice (any colors available)-If different than the colors listed in the shop, just specify when you order. I will send you a proof of your invitation within 24-48 hours so you can add/edit anything you'd like. As soon as you approve of the proof, I will get started on your order.